Price Negotiations Begin or Be-Gone? Well that didn’t take long. Merely hours after the Montreal Canadiens’ elimination in six games in the hands of the New York Rangers, fans were flooding the airwaves and Twitter looking for scapegoats for their team not moving to the second round. Astonishingly enough, most seemed to underrate the Rangers, a team who finished only one point shy of the Canadiens’ 103 points, while playing in the Metropolitan division, the toughest division in the entire NHL. Many jumped on the media bandwagon by blaming media’s favourite culprit, team captain Max Pacioretty, because he went goalless in the six games against New York. What they are refusing to see is that Pacioretty finished the series with 28 shots, tied with NHL lead last night with Brent Burns, who is also without a goal. Fact is that Pacioretty worked hard, had quality scoring chances but was beat by a hot goaltender in Henrik Lundqvist, who was in Vezina shape this entire series. But Pacioretty wasn’t the only one to have the finger pointed at him, at least not by a group of so-called fans. Carey Price, in spite of a 1.86 goals against average and a saves percentage of .933, became a target for fans desperate to point fingers instead of simply giving credit where credit is due. We opened the phone lines Sunday morning on #TSN690 and nearly every caller wanted to trade Carey Price. It is clear that fans are disappointed that their team isn’t moving on to the next round and that’s understandable. But when you read media personalities like Tony Marinaro (amongst others) pointing the finger in the wrong direction, can we blame the fans? Aren’t those media personalities supposed to know their hockey a bit more than some of the fans? Or is it at all possible that they know that feeding into fans’ desperate beliefs will bring them hits and so-called notoriety? Think about it folks! Carey Price will be entering the final year of a contract paying him on average $6.5 million and the consensus is that he will be due for a substantial raise, whether it’s in Montreal or elsewhere. 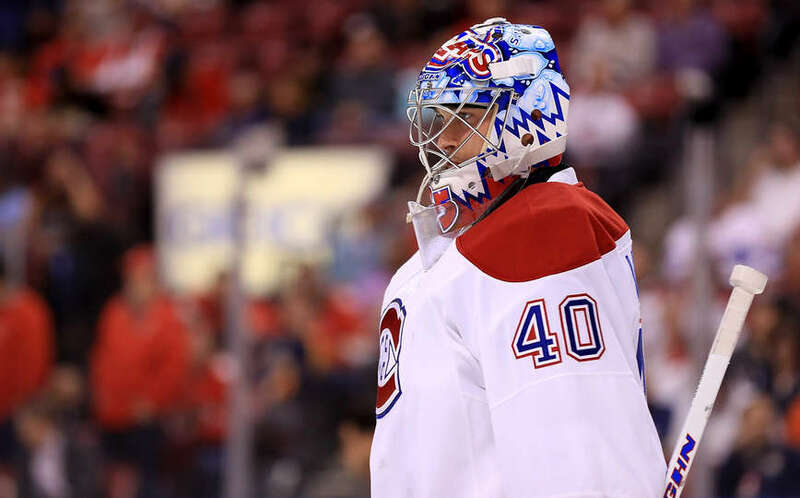 Since his last contract was a long term deal, the Canadiens can start negotiating with their star goaltender as early as July 1st for an extension and many seem to believe that they must reach a deal as early as possible. Personally, I think that while Marc Bergevin will have discussions with Price and his agent, there is no rush on either side to reach an official agreement. On one side, Price has everything to gain by seeing what the market will bear for guys like Ben Bishop this summer and what the Canadiens do to improve the team for the long term. On the other side, Price is under contract and prospect Charlie Lindgren is performing extremely well in the AHL, as well as when he was called upon at the end of this season. They will want to see more of him prior to making a decision on goaltending for years to come. One this is almost 100% sure though is the fact that Price will not be traded, as suggested by some fans. Bergevin wants to win and his chances of winning are much better with Price than with anyone else in net. Price won’t be asking for a trade either. The only way I could see trading Price a slim possibility is if some General Manager comes with a trade offer that Bergevin couldn’t refuse, and we can all agree that this is very unlikely. Let’s say, for the sake of talking, that Garth Snow calls and offers John Tavares and something else for Price? With the likes of Bishop, Ryan Miller, Scott Darling and Mike Condon as pending UFAs, Bergevin might (and I insist on might) consider such a deal. But if you are a betting person, you should put your money on Carey Price being the starting goaltender for the Montreal Canadiens next season. Go Habs Go!